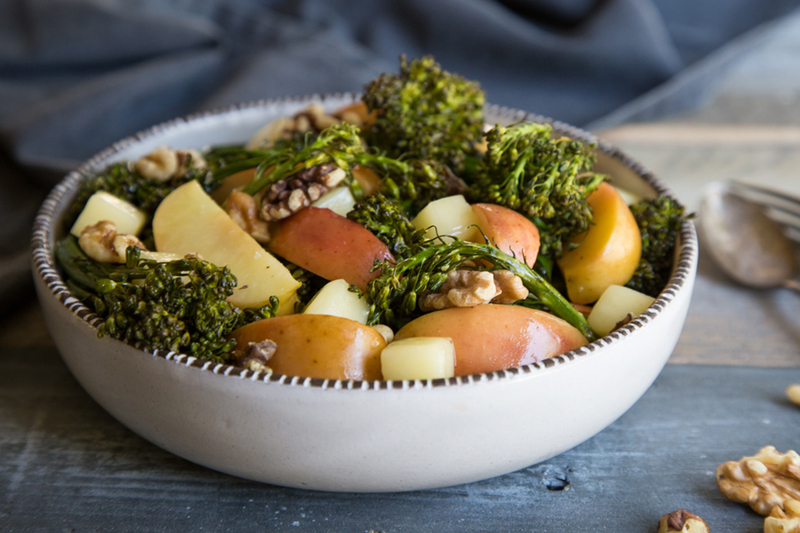 Place broccolini and apples in single layer on large baking sheet. Drizzle with olive oil. Roast 10 minutes. Stir and sprinkle with walnuts. Roast for 5 more minutes. Remove from oven. Sprinkle with salt and pepper. Let cool 5 minutes. Transfer to serving bowl. Add cheese cubes and toss to combine. Serve warm.